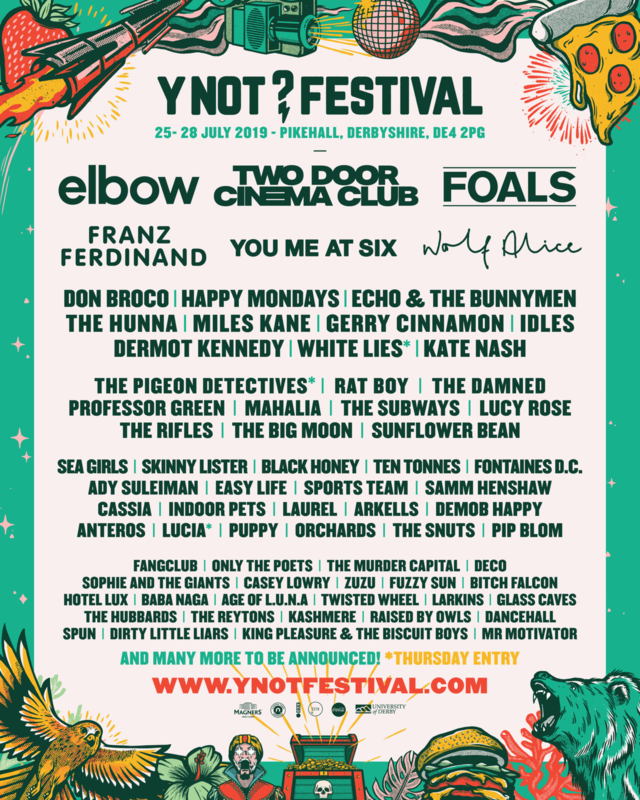 The first acts have been announced for Y Not Festival 2019, headliners are Elbow, Two Door Cinema Club and Foals. The gorgeous Peak District countryside becomes home to Y Not Festival, 25th-28th July 2019. Elsewhere on the lineup are Wolf Alice, Franz Ferdinand, You Me At Six, Echo & The Bunnymen, Miles Kane, Idles, White Lies and many more. See the full line up below.